Transparency is a vital first step to building trust. Transparency means that you are open to others. A transparent person is also a vulnerable person. A vulnerable person is real with who they are. They tell you the truth. They let you see their good and bad. In relationships where trust has been broken transparency is key to the rebuilding process. Transparency involves telling the truth about facts and feelings. It means not hiding information such as your phone, social media accounts, email, etc. Transparency means being honest and authentic with yourself and others. Trust will not grow without transparency. If you struggle with transparency and vulnerability ask yourself why. What did your family teach you about transparency? How was vulnerability dealt with in your family? Consider working with a qualified therapist to explore why transparency and vulnerability is difficult for you or find a trustworthy friend with whom you can practice be transparent and vulnerable with. Reliability is the second step of creating trust in your relationships. Think of a time when someone you know let you down. Maybe they failed to show up to an important event in your life. Or perhaps they made a promise and did not keep it. The first time it happens you might have been forgiving. However, when it consistently happens you begin to lose trust. Being a reliable and dependable person goes a long way to building trust. Of course, no one is completely reliable 100% of the time. The main goal is to be a person that keeps their word. In other words, a person of integrity. When you fail admit your mistake and repair the trust with transparency and understanding which we will talk about next. Understanding is multifaceted in that it involves understanding both yourself and the person with whom you are attempting to establish trust with. Cultivating a deeper understanding of your emotions and your needs is paramount in establishing and maintaining trust. Emotions are important signals that help us to understand what we need. They are not illogical. Emotions, especially softer emotions (sadness, fear, loneliness, etc. ), help us in building trust. Emotions have needs. For instance, when you are sad you may need comfort. When you are angry you may need validation or change. When you are happy perhaps you need someone to celebrate with you. When you are scared it might just be that you need reassurance. Understanding both your emotions and needs in yourself and others will help you to create empathy which another key component to establishing trust. Sharing your emotions and needs with the person you are wanting to build trust with is the next step in the process. With a deeper understanding of both yourself and of the person you want to build trust with the goal is to have a reciprocal time of sharing and caring that will strengthen the bond in the relationship. To share vulnerably there must be safety. To create safety there needs to be an environment free of judgement and condemnation. The endgame is to speak from your heart, listen with your heart, and to respond with love and truth as needed. In review, the process of having a mutual exchange of sharing vulnerable emotions and needs will go a long way in creating and fostering trust. Time is an essential component to building a lasting and strong trust. It takes time to allow for transparency and reliability to take root. It takes time to develop that deeper understanding of yourself and of others. Time by itself is not enough. The old adage, “Time heals all wounds,” is simply not true. It takes time plus all of the steps above to arrive at the place where you can share vulnerable emotions and the needs connected to those emotions. Trust is vital to nearly all relationships. It does not matter if it is a business relationship, friendship, romantic relationship, or family relationship. If you do not have trust the relationship will be hindered or there will be NO relationship. If you are in the process of building or re-building trust in your marriage or dating relationship following the steps above can help. Remember it’s a not a linear process meaning you and your spouse/partner may need to cycle through each step multiple times. 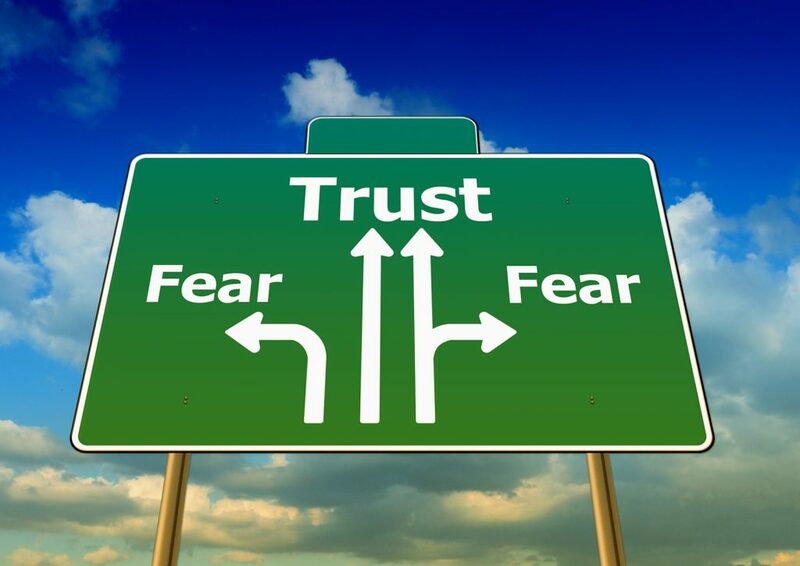 If you are experiencing difficulty trusting others or with re-building trust when there has been a violation consider seeing a qualified therapist/counselor who can help you in this process. Crossroads Counseling offers counseling for couples who and individuals who need to learn how to build trust. Our relationship centers are located in Phoenix and Scottsdale. We specialize in couple’s therapy for communication, affairs and infidelity, conflict, disconnection, and more. In addition to our couple’s counseling we offer intensive marriage counseling which is ideal for couples who are in crisis, or want to make a good relationship great, or couples for whom the traditional weekly hourly session does not meet their needs. Call us today for a complementary 20 minute phone consultation at 623-680-3486. Email info@crossroadsfcc.com to learn more.